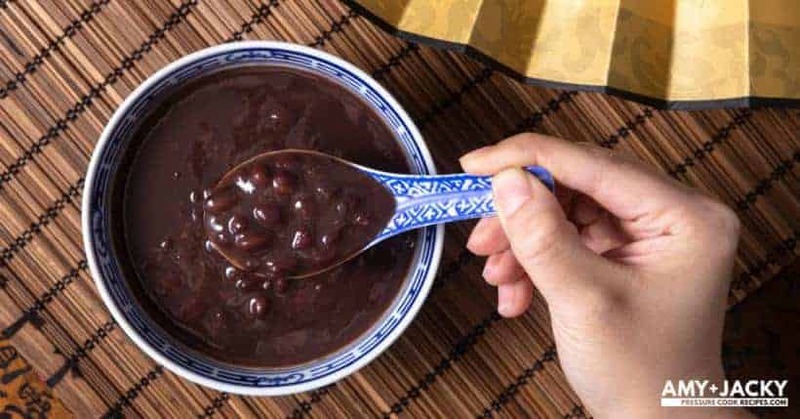 My mom loves making this classic Hong Kong dessert because it’s so simple with just 5 ingredients and super duper easy to make! 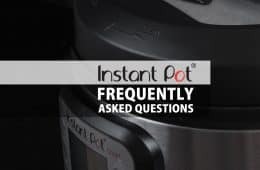 Now, it’s made even easier & faster with the Instant Pot Pressure Cooker! Yay to no need to watch the stove! But if you want a real good bowl of Chinese Sweet Potato Soup, it can get a little tricky. 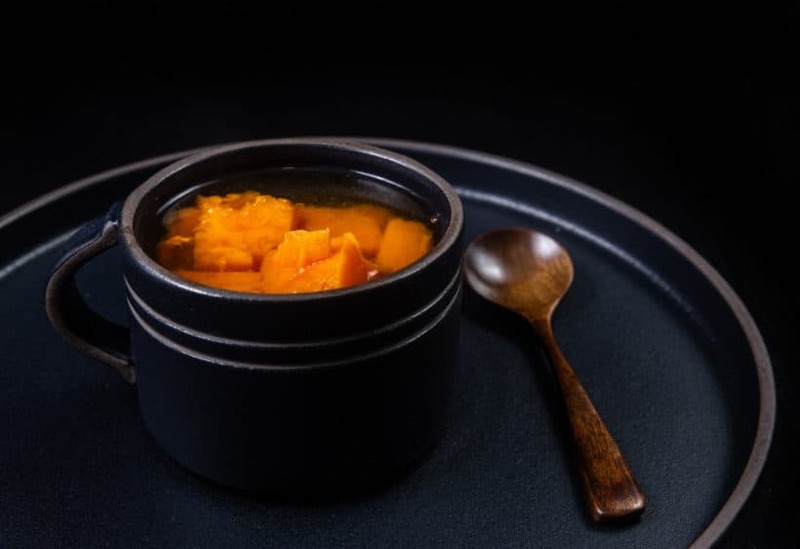 Because when the sweet soup is not cooked enough, the sweet potatoes can be undercooked & hard, lacking flavors; or the flavors aren’t well blended; or the sweet soup tastes watery & lacking body. What makes a good bowl of Chinese Sweet Potato Soup? The results? A delicious bowl of nourishing, filling, aromatic, & comforting sweet-gingery dessert soup! Super easy to make 5-ingredient Classic Instant Pot Chinese Sweet Potato Soup (Chinese: 番薯糖水)! 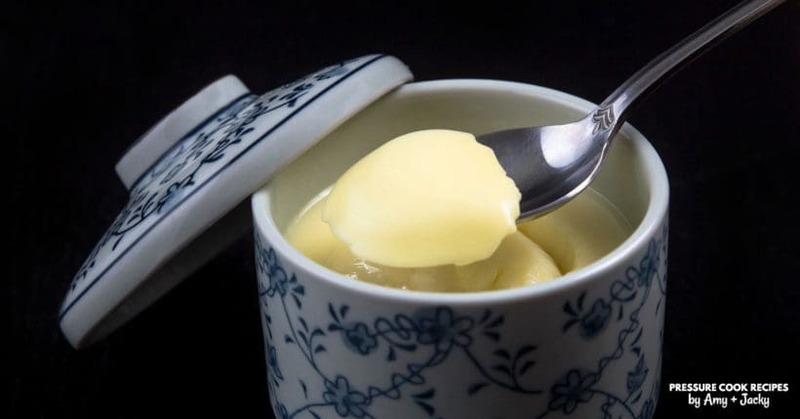 Smooth, light, sweet-gingery Hong Kong dessert soup. Budget, nourishing, & satisfyingly delicious! 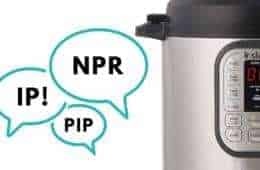 Pressure Cook Chinese Sweet Potato Soup: Add 1 (93g) brown sugar in pieces (片糖), a pinch of salt, and ginger slices in Instant Pot Pressure Cooker. Add in 2 ½ lbs (1025g) sweet potato chunks, then pour in 4 cups (1L) cold water. 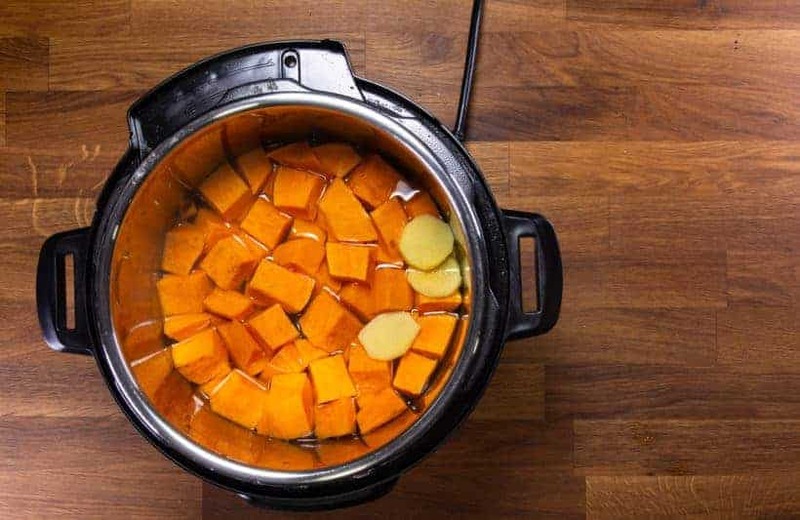 Ensure the sweet potato chunks are submerged in the water. Close lid and turn Venting Knob to Sealing position. Pressure Cook at High Pressure for 1 minute, then 5 minutes Quick Release. 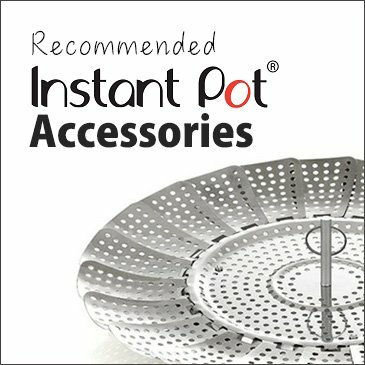 After 5 minutes, release the remaining pressure by turning the Venting Knob to the Venting position. Remove the lid carefully. 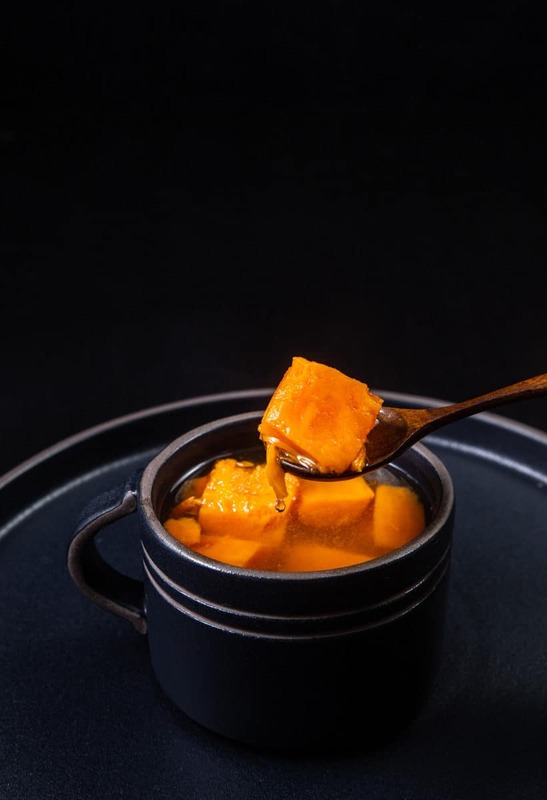 Thicken Chinese Sweet Potato Soup: The Sweet Potato Soup will look quite watery. It's important to bring the sweet potato soup back to a simmer by pressing the "Cancel" button, then "Saute" button. Let it simmer. 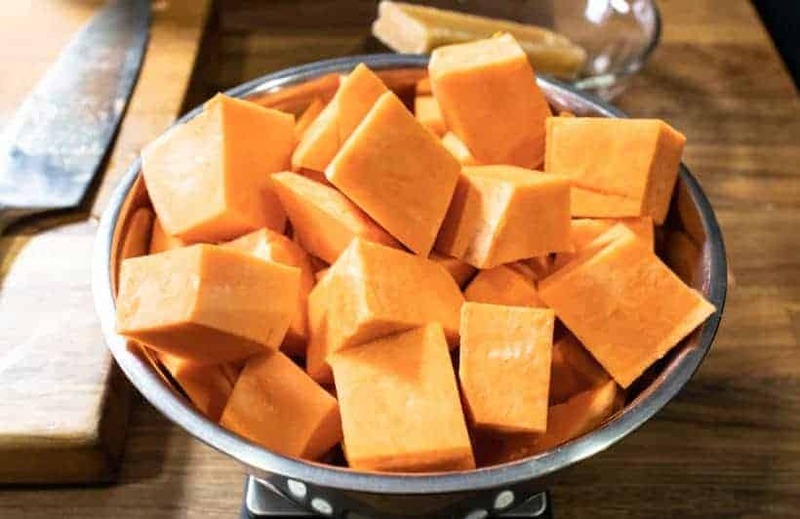 Break down the sweet potatoes slightly with a wooden spoon, then mix the soup to give it more body. This will take a few minutes. Taste and adjust the sweetness by adding more brown sugar in pieces if necessary. 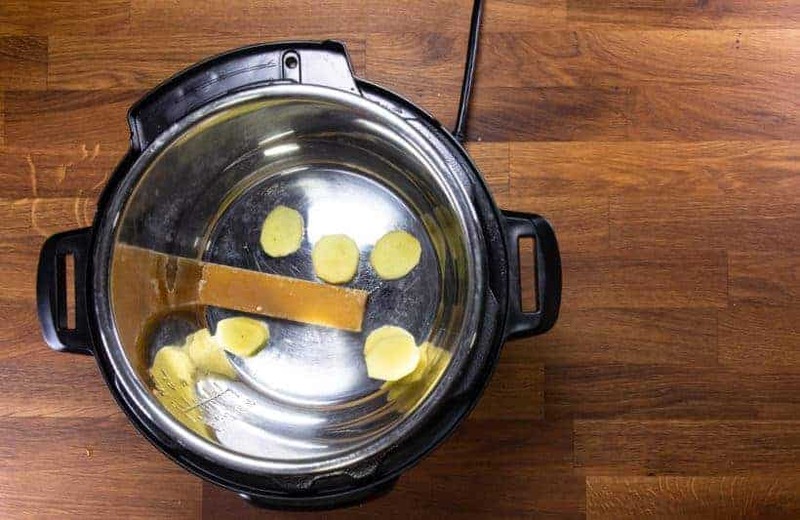 Ginger: Use old ginger for a stronger & more aromatic taste. 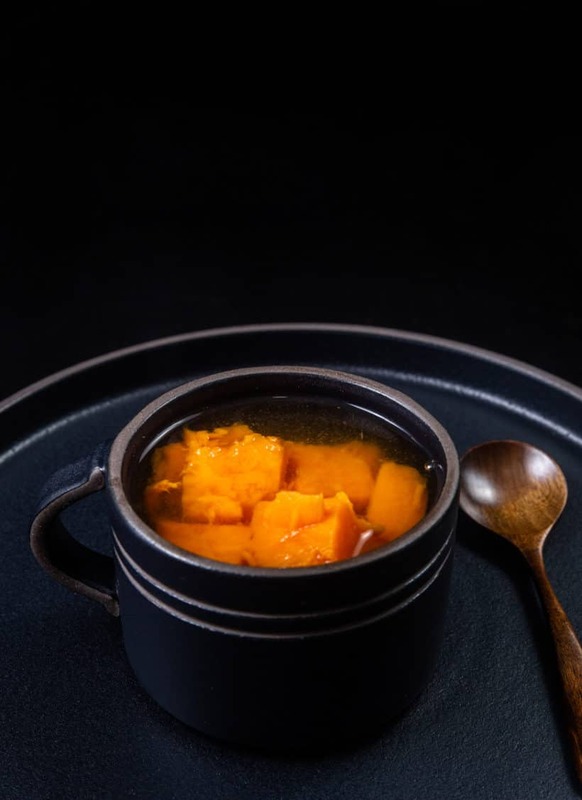 If you enjoy a more gingery spicy Sweet Potato Soup, feel free to add more ginger slices according to your preferences. Try to use old ginger for a stronger & more aromatic flavor profile. 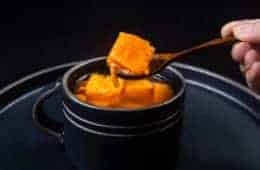 If you enjoy a more gingery spicy Sweet Potato Soup, feel free to add more ginger slices according to your preferences. Here’s how much 3 tbsp (40g) of ginger slices roughly looks like. 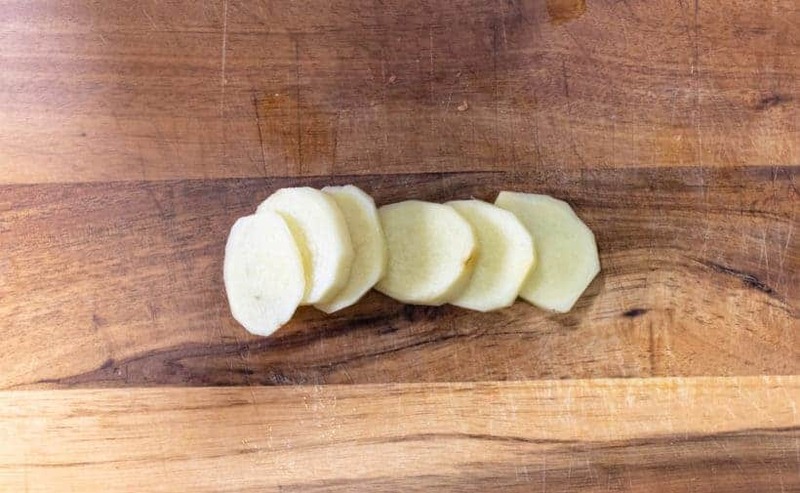 Roughly cut the sweet potatoes into 2″ chunks as shown in below photo. 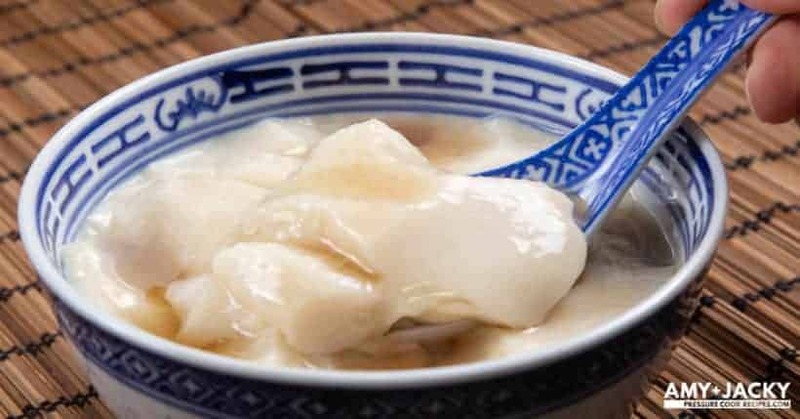 Add 1 (93g) brown sugar in pieces (Chinese: 片糖), a pinch of salt, and ginger slices in Instant Pot Pressure Cooker. Add in 2 ½ lbs (1025g) sweet potato chunks, then pour in 4 cups (1L) cold water. 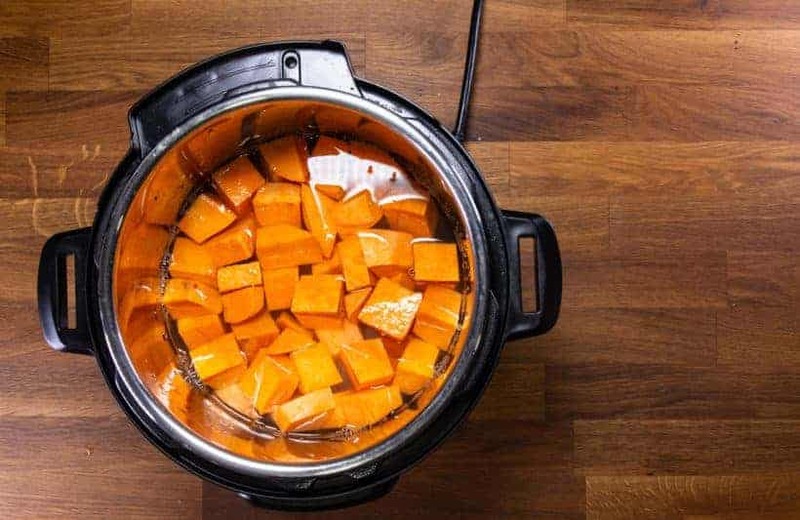 Make sure the sweet potato chunks are submerged in the water. 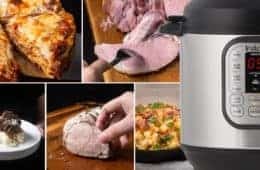 Pressure Cooking Method: Pressure Cook at High Pressure for 1 minute, then 5 minutes Quick Release. 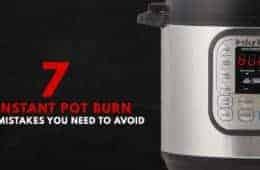 After 5 minutes, release the remaining pressure by turning the Venting Knob to the Venting position. The Sweet Potato Soup will look quite watery at this point. Bring the Chinese sweet potato soup back to a simmer by pressing the “Cancel” button, then “Saute” button. Let it simmer. 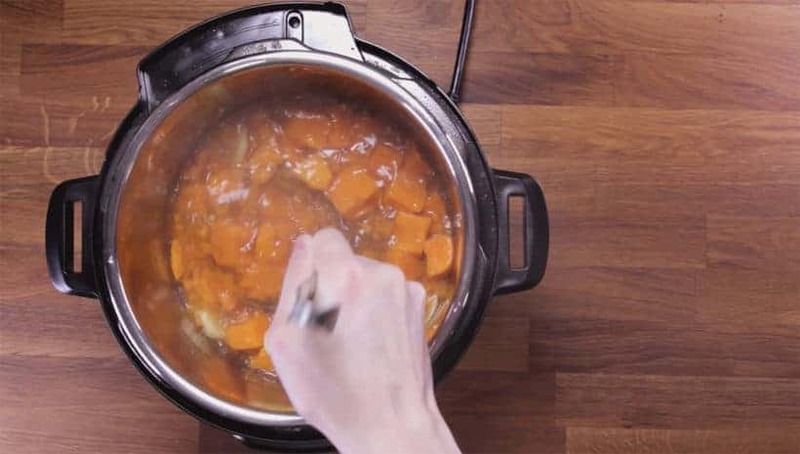 Break down the sweet potatoes slightly with a wooden spoon, then mix the soup to give it more body. This will take a few minutes. Taste and adjust the sweetness by adding more brown sugar in pieces if necessary. 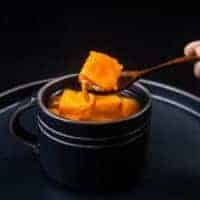 You can serve this Chinese Sweet Potato Soup hot or cold. If you are serving it cold, make sure to add a bit more sugar because your taste buds will be less sensitive. The recipe says 5 minutes of quick release and then release remaining pressure by turning the knob…. Do you mean 5 minutes of natural release and then manual release? Yes, 5 minutes quick release means turning the knob to quick release after 5 minutes. Thank You for using Metric and NON-Metric measurements. Very much appreciated.. by most of us. If the portion-sizes in the “Instructions” are identical to those in the “Ingredients” portions, you can omit the ‘measurements’ in the Instructions :). 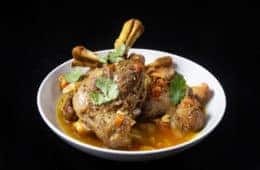 Keep your great recipes coming. We’re all looking forward to the next ones. Regular sugar and brown sugar will work.